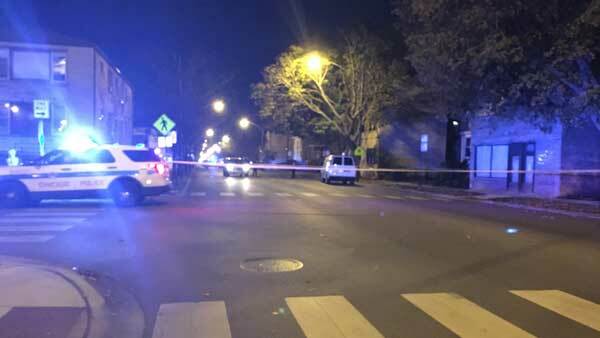 A 2-year-old girl was fatally struck by a vehicle on Sunday in the Northwest Side Jefferson Park neighborhood, police said. CHICAGO -- A 2-year-old boy was fatally struck by a white van on Sunday in the Northwest Side Jefferson Park neighborhood, police said. At 4:11 p.m., Noah Katz and his mother, 39, were struck by the driver in the 4700-block of North Central Avenue, according to Chicago Police. A nurse who saw what happened ran over to the child and performed CPR before paramedics arrived. The boy was pronounced dead at the scene and the woman was taken to Lutheran General Hospital in Park Ridge with injuries that were not life-threatening, police said. Her condition was stabilized. The driver of the van was traveling west on Giddings Street when he turned south onto Central Avenue and struck the two, police said. The driver was taken into custody and charges were pending, police said. Neighbors said the van dragged the two-year-old several feet before it came to a stop. Another driver pulled over in from of the van to try and stop the driver. The intersection was closed for several hours Sunday while they canvassed the area looking for witnesses. No. 85 Central buses were being rerouted from Central to Montrose, Austin, Lawrence and back to Central in both directions, the Chicago Transit Authority said. Several neighbors said the intersection is dangerous and cars often speed through it. Source: Sun-Times Media Wire - Copyright Chicago Sun-Times 2016.